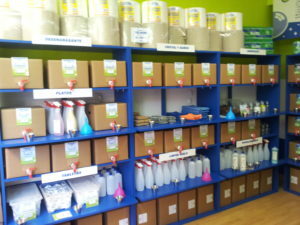 One model of Zero Waste business is really cleaning up in Italy – refill detergent stores. The idea is simple, and given its rapid expansion, seemingly recession-proof: customers bring their own empty cleaning product containers to stores and refill them from bulk dispensers. Bottles are also available to buy. It fits with the Zero Waste principle of avoiding the production of waste at source, before considerations of disposal and recycling. 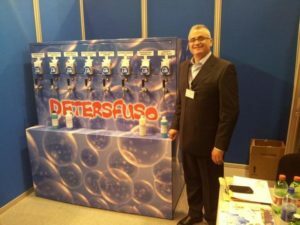 According to Antonio Fico, marketing and communications manager of one such chain, Detersfuso, not only is this an environmentally sound approach to consumption, it also has a positive impact on household budgets at a time when many families are reducing outgoings. In a 2011 study by the Italian National Consumer Observatory, it was found that a family of 4 could save €205 a year by buying the same cleaning products loose rather than packaged. 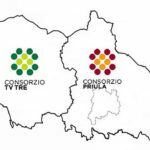 These savings are attracting custom and boosting expansion, with the franchise-based chain already at 140 stores across central and southern Italy. “It’s essential to reduce waste at the production stage. Today, recycling rates are still very low. 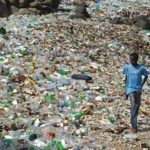 If we want to convert our economy, create new areas of employment and contribute to protecting the environment, we have to reduce waste and industrial discards to a minimum and encourage people to choose refill products”. The bulk chain is proud of its contribution to reducing waste. Since 2011, according to Fico, Detersfuso has diverted 5 million plastic bottles, or 300 tons of plastic from landfill. Given that Naples has signed up to become a ‘Zero Waste City’ by 2020, initiatives such as this play a vital role in helping cities achieve their goal of diverting 100% of waste from landfill and incinerators. 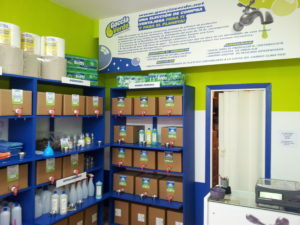 Another Italian chain, Goccia Verde, goes a step further and provides only ecological cleaning and personal care products on tap. They have a total of 17 stores and have even expanded internationally, now with 6 outlets in Spain including 2 in Barcelona. Some of their stores feature coin-operated automatic dispensers, helping to reduce retail prices even further. They estimate that customers can make savings of between 20 and 60% on the price of cleaning products compared with buying a new bottle every time. Of course, this does not include the savings to local government of not having to manage plastic waste, or clean up the illegal dumps and plastic pollution that blight the landscape and poison the lives of locals and wildlife. At a time when many small businesses in Europe are struggling to maintain profits, turning to a Zero Waste distribution model could help them wipe the floor with the competition and contribute to a cleaner environment.